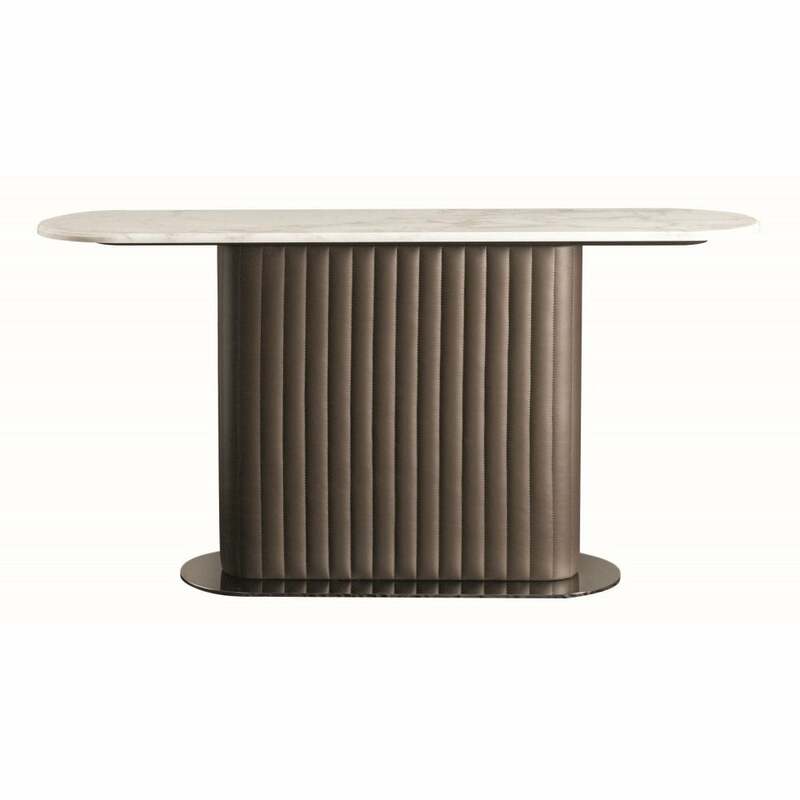 Embrace the luxury style of the Byron console table from the Daytona range by Signorini & Coco. The bold base is presented in a beautiful padded cannettè leather style. The lower base is presented in a brushed brass titanium finish. The ultra-modern look extends to the surface with an eye-catching Calcutta oro marble top. Customise the Byron console table to suit your interior. Choose from a range of marble tops and upholster the base from a choice of high quality fabrics including leather, fabric or nubuck leather.